Top judges of times past lay down the law. Tampa Bay KC, 1958: Judge Alva Rosenberg and future judge Anne Hone Rogers (Clark). 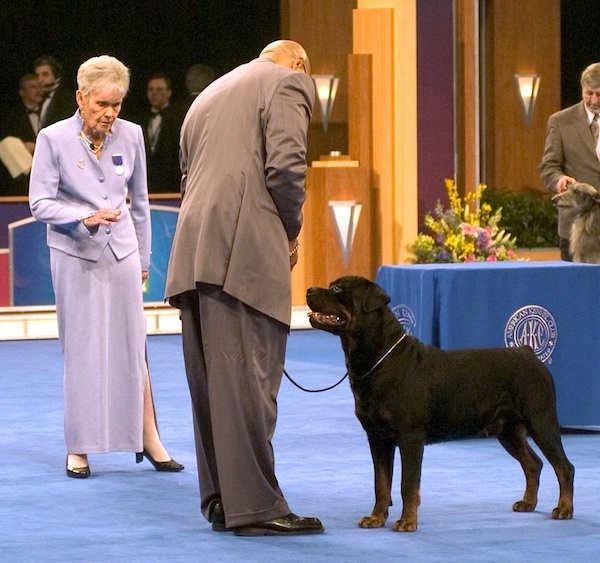 AKC/Eukanuba National Championship, 2005: Jane Forsyth appraises her choice for Best Bred-by-Exhibitor in Show, Rottweiler Ch. Carter’s Noble Shaka Zulu. 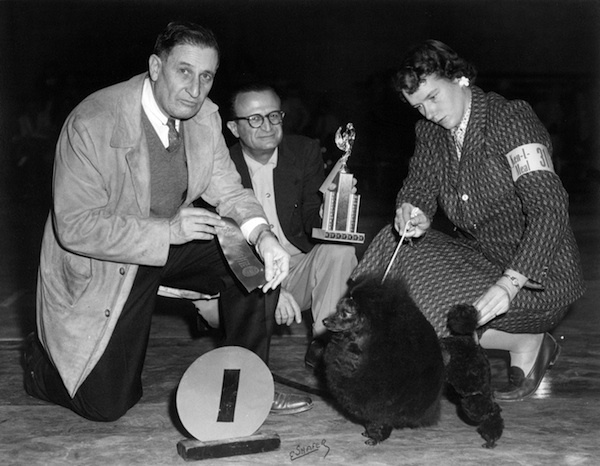 Below: Rare video footage of legendary judge Alva Rosenberg at the 1948 Morris & Essex dog show. This is a clip from a newsreel produced by British Pathé, the leading name in news footage for the U.K. market between 1910 and the rise of BBC television. 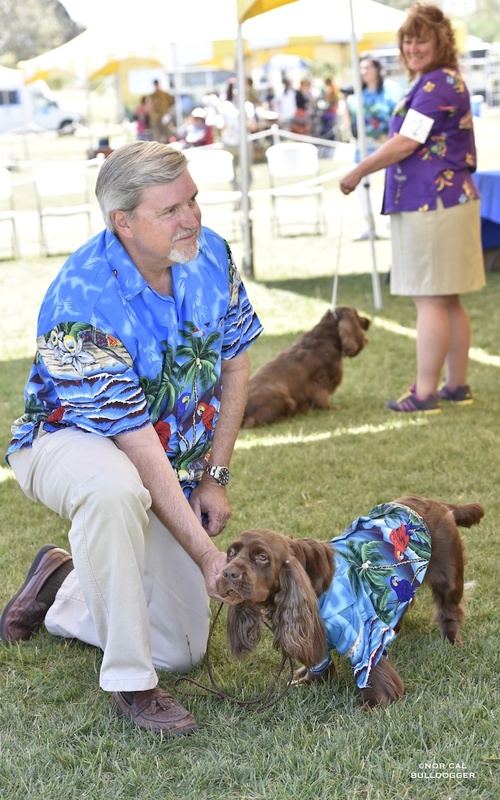 The silent snippet is just 45 seconds long, but it packs a lot of dog show history into its brief running time. 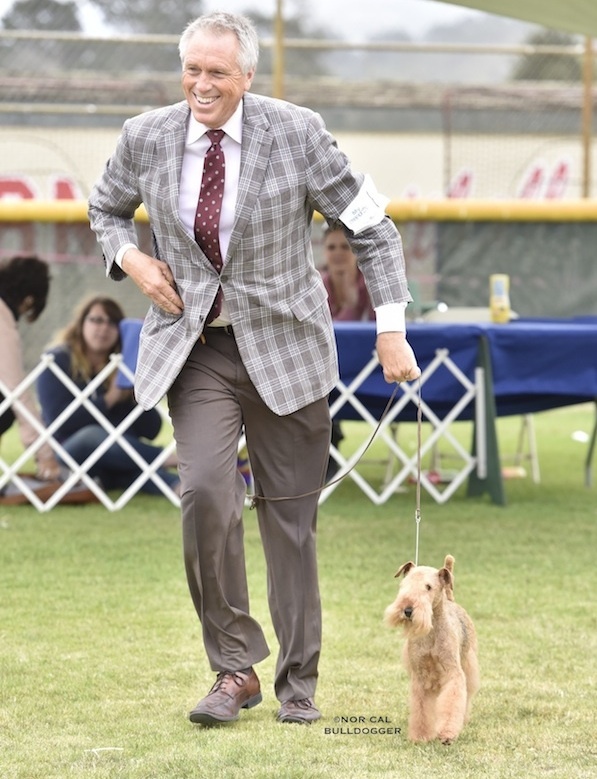 At 0:31, Best in Show judge Rosenberg (taller than he looks in still photos) strides to the center of the ring, turns, and beckons to his winner, the great Bedlington Terrier Ch. 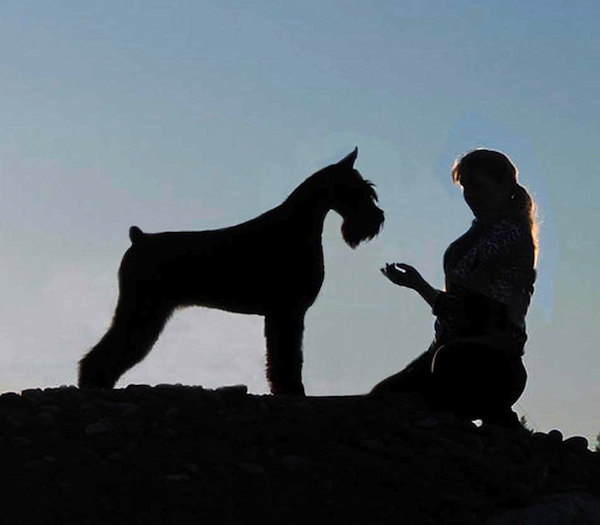 Rock Ridge Night Rocket, owned by Mr. and Mrs. William A. Rockefeller and handled by famed Bedlington specialist Anthony Neary. 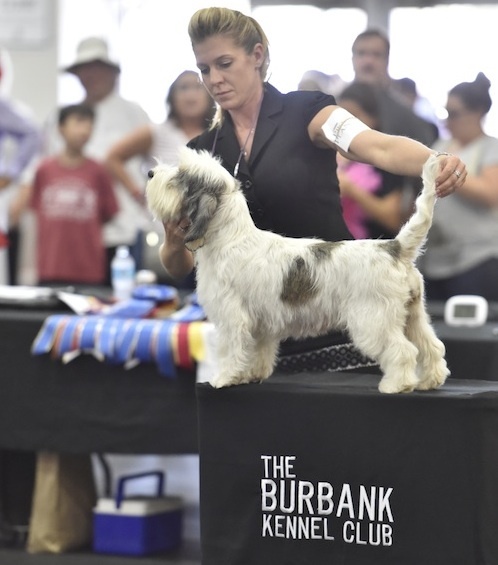 There’s a quick cut to the rambunctious Rocket—obviously shot earlier in the day—and then a cut back to the BIS ring, where Neary and Rocket are seen striding toward the winner’s platform. Mrs. Dodge approaches Rosenberg to shake the hand of the great all-rounder. At 0:42, we get a lovely shot of Rocket on the platform. 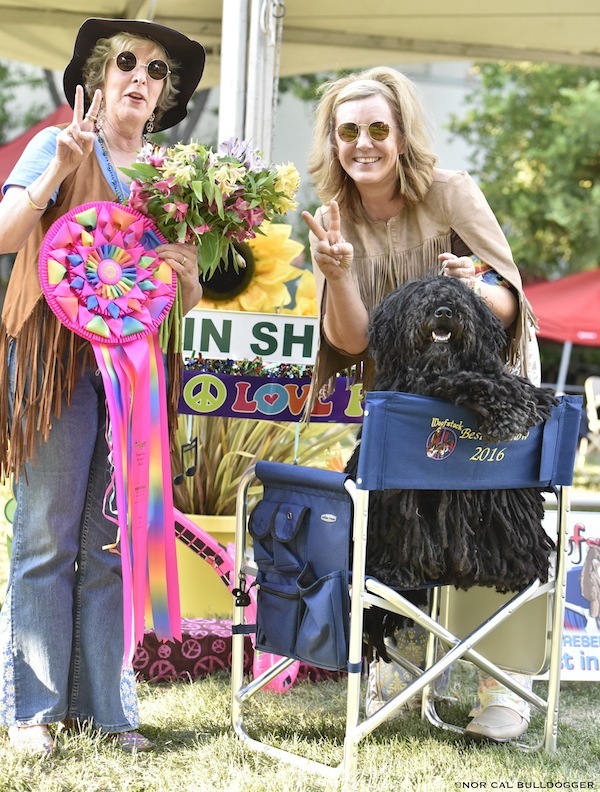 Neary stoops down to give the fleecy Bedlington a few quick flicks of the comb. Mrs. Dodge holds the Percy Rockefeller Trophy.